It seems that even at the height of the Cold War, it could be a hard sell to get someone to buy a bomb shelter. That meant the people doing the selling didn't always go with the direct approach. "We don't go up to people and say: 'Good afternoon. 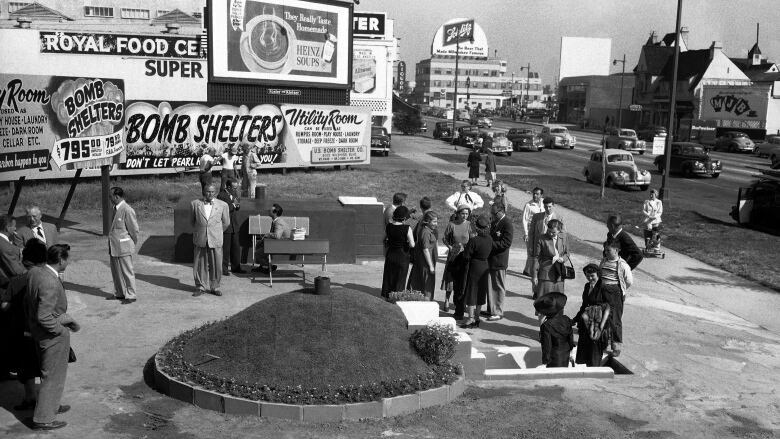 We're selling bomb shelters,'" salesman Howard Robinson told CBC Radio's Assignment back in November of 1958. "We say to people — in their homes especially, and especially if children are there — 'What would you do if a bomb went off right now? Where would you go?'" According to Robinson, "most" of these potential customers would say they would head for the cellar, if a such an attack occurred. "When you approach 'em that way and say: 'What would you do,' they all stop and think about it," said Robinson. The follow-up from the salesman? "Then we ask them: 'What would you do if the house started to burn?' Well, I guess the only answer we ever get is that they'll die and there's no need for it." But that's where Robinson said there was an argument to be made for the shelter's "other uses besides protecting from radioactivity," like storing your valuables there. 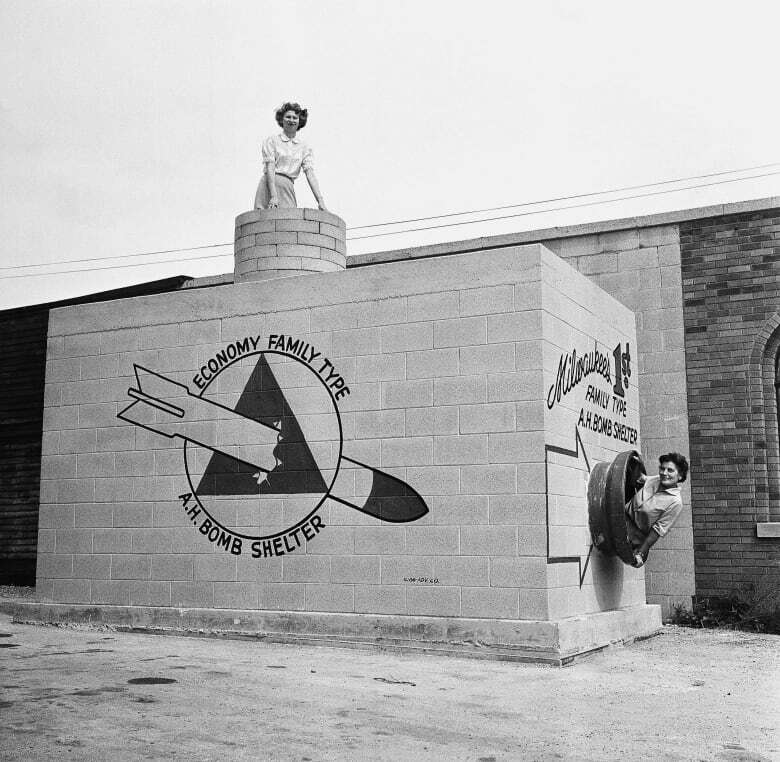 Norman Kramer, the reporter conducting the interview and trying to verify Robinson's point, said it seemed that "selling straight bomb shelters sometimes doesn't appeal to some people," which is why the broader sales pitch was necessary. "There are many uses for it," Robinson continued. "Actually, you can use it as another room in the house and it's probably much lower priced." Kramer wanted to know if people ever laughed at the sales pitch. Robinson said yes — and more men laughed then women, in his experience. "It's a certain nervous reaction," said Robinson. But Kramer's last question perhaps brought about the most revealing answer. "Do you have one in your own home, Mr. Robinson?" he asked. After a brief pause, Robinson said: "Uh, I live in an apartment, unfortunately." The salesman claimed, however, that his building was taking steps to shield its own basement. "[A] fascinating business, Mr. Robinson and I've learned a lot," said Kramer, laughing as he wrapped up the interview. "And I hope that you are able to get out of that apartment building where you have no bomb shelter, into a building where you can build one for yourself."